medical, financial, and emotional changes for patients and their families. Patients can be referred to hospice when they are diagnosed with a terminal condition with a prognosis of 6 months or less. Hospice provides a team-oriented method of addressing not just physical pain, but also spiritual and emotional pain. The cost of hospice care is covered entirely by Medicare and Medicaid for patients with these benefits. For those patients with private insurance, verifying benefits with the insurance company is important prior to signing on. The hospice team can provide services wherever the patient lives, whether that is in a home, an assisted living facility, or a nursing home. In the case that the patient has uncontrolled symptoms of pain, nausea, shortness of breath, or restlessness, hospice has inpatient facilities which may provide a higher level of care. Having a hospice team to address their concerns and a 24-hour hospice nurse to call can provide families with the peace of mind that they are not alone, even in their most trying times. The hospice team can follow patients and families on their journey through illness; from the time their active treatments are no longer beneficial, to comforting moments enriched by hospice’s supportive care when patients can be among their loved ones. To learn more about hospice comfort care visit www.houstonhospice.org or call 713-467-7423 (713-HOSPICE). 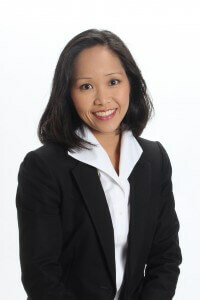 Thuy Hanh Trinh, MD, MBA, FAAFP, FAAHPM, WCC, is an Associate Medical Director at Houston Hospice in Houston, Texas. She received her medical degree from Louisiana State University Health Science Center in New Orleans and trained in family medicine at Baylor College of Medicine. Following residency, she completed her geriatric fellowship at Baylor College of Medicine and her palliative medicine fellowship at M.D. Anderson Cancer Center. She joined Houston Hospice in 2007 and serves as the Education Liaison.